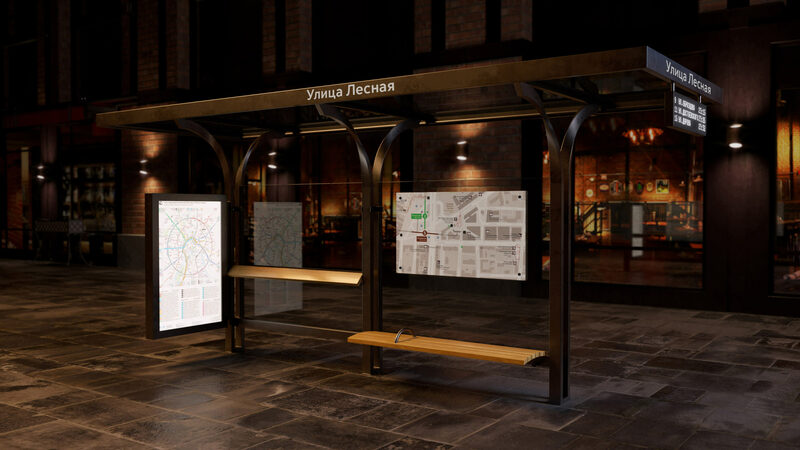 Ostanovkus-4 is a bus shelter that fits into both modern and historical surroundings, protects passengers from rain, snow and sun and provides travel updates. 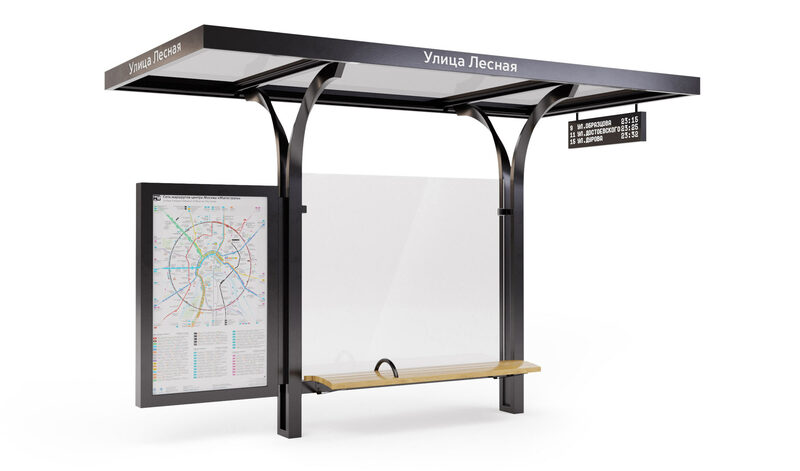 Ostanovkus-4 is modular, which means that it can be assembled from one or two sections, with a single bench or an additional leaning bench, with just a route map or an additional city map and so on. 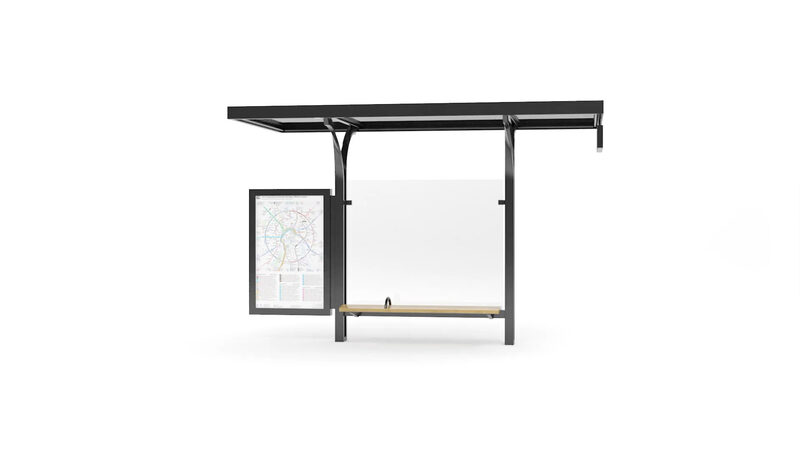 The route map is located along the back of the shelter and acts as a sidewall protecting passengers from wind. The roof is transparent which is especially nice in the fall when it can be dark inside the shelters even during the day. Tint film protects from hot sun in the summer. At night, Ostanovkus-4 is softly lit with built-in lighting. The name of the stop is written on the sides of the roof. 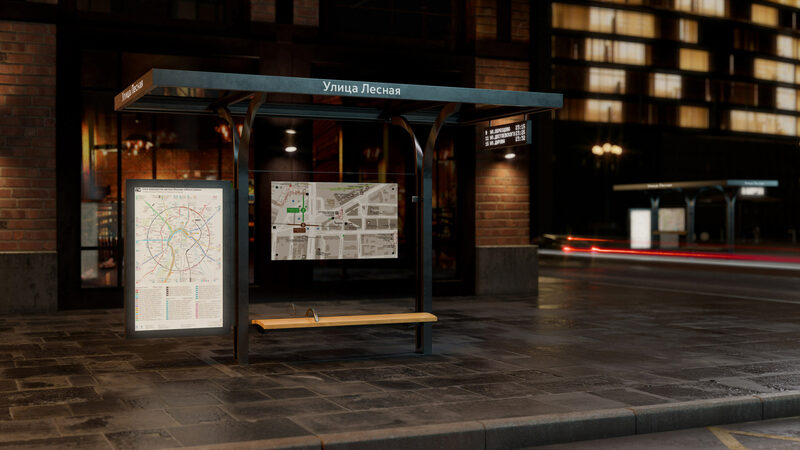 Route numbers, destinations and arrival times are shown on the display. Just like the entire frame the display appears to be made from cast iron which makes Ostanovkus-4 even more beautiful.